The end of the universe is nigh. The domino that starts existence rapidly spinning towards oblivion is a long-ago crime-of-the-heart by The King of All Imagination. Now the pain is rippling outwards and threatening billions of innocent lives and there’s only one perfectly way to save it all. This week sees the release of The Sandman: Overture #6, the last issue of a miniseries started two years ago to celebrate the 25th anniversary of the beloved Vertigo/DC Comics. Overture’s plot has been concerned with the impending end of all-there-is and it’s revealed that the domino that starts existence rapidly spinning towards oblivion is an eon-old, ice-cold break-up with his former lover of Dream’s, but the sentient star winds up going mad with grief and infecting other stars with her nihilism. Each issue has shown Dream journeying through vividly drawn planes of reality, looking for ways to stop the universe from dying and talking to his sibling in the Endless, a family of entities who embody various existential concepts like Death, Desire and Destruction. One of the most appealing parts of the Sandman mythos has been the idea that the eternal,cosmically powerful members of the Endless were just as emotionally flawed as us mortals. Overture shows Dream with all of his foibles and flaws. He’s arch, humorless, self-absorbed and occasionally arrogant. Yet his characterization feels right because dream-logic cares nothing about explaining itself or following the rules of any sort of logic. Even at his most kind, he’s inscrutable and removed. That’s just how dreams are. J.H. Williams delivers genius-level layouts and linework—supported by Dave Stewart on colors and Todd Klein’s lettering—that looks like it’s the work of dozens of different artists. Yet for all the divergent artistic approaches, Overture is a sprawling fable about the inescapability of family ties and our own tendencies. At its best, The Sandman comics have been a character study of all the things that make us human: the awful decisions, blissful connections and insistent needs that churn inside all thinking beings. Dream saves the universe but sacrifices much of his own power to do so. We have to sometimes sacrifice dreams to keep our own little universes alive , don’t we? 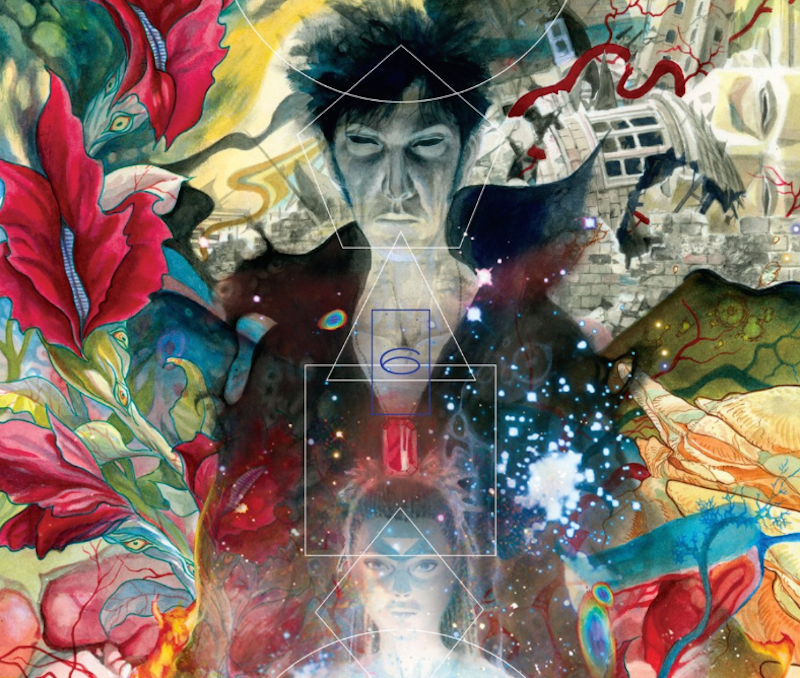 The finale of its latest series is beautiful, hallucinatory and the right kind of self-indulgent, leading right back to the beginning of the first issue of Sandman.